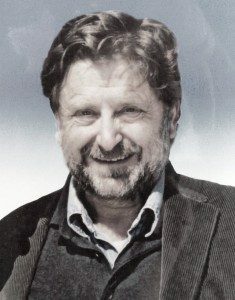 Nicos Mouzelis (born in Athens, 1939) is Emeritus Professor of Sociology at the London School of Economics. He has published extensively in the fields of historical sociology, sociology of organizations, sociology of development and social theory (his last book is Modern and Postmodern Social Theorising: Bridging the Divide. Cambridge: Cambridge University Press, 2008). See below a more comprehensive biography. 1. ORGANISATION AND BUREAUCRACY: An Analysis of Modern Theories. London: Routledge & Kegan Paul, 1967, 1975, 1981, pp. 234 (Translation into Greek, Japanese and Spanish). Second edition 1975 includes a new long introduction assessing recent trends in the literature. Reprinted several times. 2.MODERN GREECE: Facets of Underdevelopment. London: Macmillan, 1978, 1979, pp. 222. Translated into Greek, published by Exantas, 1978. 3. POLITICS IN THE SEMI-PERIPHERY: Early Parliamentarism and Late Industrialisation in the Balkans and Latin America. London: Macmillan, 1986, pp. 284 (Hardback and paperback). Translated into Greek, published by Themelio, 1986. 4. POST-MARXIST ALTERNATIVES: The Construction of Social Orders. London: Macmillan, 1990, pp. 210. Translated into Greek, published by Themelio, 1993. 5. BACK TO SOCIOLOGICAL THEORY: The Construction of Social Orders. London: Macmillan, 1991, 1993, pp. 210. Translated into Greek, published by Themelio, 1996. 6. SOCIOLOGICAL THEORY: What Went Wrong? Diagnosis and Remedies. London: Routledge, 1995, pp. 220. Translated into Greek, published by Themelio, 2000. 7. MODERN AND POSTMODERN SOCIAL THEORISING: Bridging the Divide. Cambridge: Cambridge University Press, 2008, pp. 311. Translated into Greek, published by Themelio, 2010. 8. MODERNITY AND RELIGION: Secularization, Fundamentalism, Ethics. Athens, Polis, 2014, pp. 214 (in Greek). 9. LOOKING AT THE FUTURE: Capitalism, Social Democracy, Welfare State. Athens: Alexandreia, 2018, pp. 232 (in Greek). 1. “On the Greek Coup”, Contemporary Issues, Vol. 13, No. 51, October 1968. 2. “Silverman on Organisations”, Sociology, Vol. 3, No. 1, January 1969. 3. “On Total Institutions”, Sociology, Vol. 5, No. 1, January 1971. 4. “Some Problems in the Sociology of Job Satisfaction”, Prakseologia, No. 44, 1972. 5. “Modernisation, Development and the Peasant”, Development and Change, Vol. 4, No. 3, 1973. 6. “Social and System Integration: Some Reflections on a Fundamental Distinction”, British Journal of Sociology, Vol. 25, No. 4, December 1974. 7. “Greek and Bulgarian Peasants: Aspects of their Sociopolitical Organisation during the Interwar Period”, Comparative Studies in Society and History, Vol. 18, No. 1, January 1976. 8. “Capitalism and Dictatorship in Post-War Greece”, New Left Review, Vol. 96, March-April 1976. 9. “Capitalism and the Development of Agriculture”, The Journal of Peasant Studies, Vol. 3, No. 4, July 1976. 10. “On the Greek Elections”, New Left Review, Vol. 108, March-April 1978. 11. “Ideology and Class Politics: A Critique of Ernesto Laclau”, New Left Review, Vol. 112, November-December 1978. 12. “Class and Clientistic Politics: The Case of Greece”, Sociological Review, Vol. 26, No. 3, November 1978. 13. “Agrotika: A Comparative Study of Rural Social Structures in the Balkans”, The Greek Review of Social Research, Vol. 32, 1978. 14. “Peasant Agriculture, Productivity and the Laws of Capitalist Development: A Reply to Vergopoulos”, Journal of Peasant Studies, Vol. 6, No 3, 1979. 15. “The Army and Politics in Modern Greece”, Journal of the Greek Diaspora, Vol. 6, No. 2, Summer 1979. 16. “Modernization, Under Development, Uneven Development: Prospects for a Theory of Third World Formations”, Journal of Peasant Studies, Vol. 7, No. 3, 1980. 17. “Teleology and Uneven Development: A Reply to Taylor”, Journal of Peasant Studies, Vol. 8, No. 4, 1981. 18. “Reductionism in Marxist Theory”, Telos, Vol. 45, Fall 1980. 19. “Modern Greece: Development or Underdevelopment?”, Monthly Review, December 1980. 20. “On the Demise of Oligarchic Parliamentarism in the Semi-Periphery: A Balkan-Latin American Comparison”, Sociology, Vol. 17, No. 1, 1983. 21. “Notes on Some Structural Aspects of the Modern Greek State” (in Italian), Sviluppo, April 1984. 22. “On the Crisis of Marxist Theory”, British Journal of Sociology, Vol. 35, No. 1, March 1984. 23. “On the Analysis of Social Stratification in Greece”, Journal of the Greek Diaspora, Vol. 11, No. 4, Winter 1984. 24. “On the Concept of Populism: Populist and Clientistic Modes of Incorporation in Semiperipheral Politics”, Politics and Society, Vol. 14, No. 3, 1985. 25. “Continuitiés et Changements en Politique Grecque: D’ Elefterios Venizelos à Andreas Papandreou” (in French), Les Temps Modernes, Vol. 473, December 1986. 26. “On the Rise of Postwar Military Dictatorships: Argentina Chile Greece”, Comparative Studies in Society and History, Vol. 8, No. 1, January 1986. 27. “Review. The Political Economy of Socialism: A Marxist Social Theory”, Economic and Industrial Democracy, Vol. 7, No. 1, 1986, pp. 119-34. 28. “Factory Regimes in Comparative Perspective”, Contemporary Sociology, Vol. 15, No. 5, September 1986. 29. “Marxism or Post-Marxism”, New Left Review, Vol. 167, January-February 1988. 30. “Sociology of Development: Reflections on the Present Crisis”, Sociology, Vol. 22, No. 1, February 1988. 31. “Political Transitions in Greece and Argentina: Toward a Reorientation of Marxist Political Theory”, Comparative Political Studies, Vol. 21, No. 4, January 1989. 32. “Restructuring Structuration Theory”, Sociological Review, Vol. 37, No. 4, November 1989. 33. “Financial Strategies and Industrialisation in Modern Greece”, Modern Greek Studies, Vol. 8, 1990. 34. “The Interaction Order and the Micro-Macro Distinction”, Sociological Theory, Vol. 10, No. 1, Spring 1992. 35. “Social and System Integration: Habermas’ View”, British Journal of Sociology, Vol. 43, No. 2, June 1992. 36. “Existing Socialism: Is it Marx’s Fault?”, Sociology Review, Vol. 2, No. 2, November 1992. 37. “Evolution and Democracy: Talcott Parsons and the Collapse of the Eastern European Regimes”, Theory, Culture and Society, Vol. 10, No. 1, February 1993. 38. “On Figurational Sociology”, Theory, Culture and Society, Vol. 10, No. 2, May 1993. 39. 1. “Review. The Greek Socialist Experiment: Papandreou’s Greece 1987-1989”, Journal of Modern Greek Studies, Vol. 11, No. 1, May 1993. 40. “The Balance Sheet of the Left”, New Left Review, Vol. 200, July-August 1993. 41. “Comparing the Durkheimian and Marxist Traditions”, Sociological Review, Vol. 41, No. 3, August 1993. 42. “The Poverty of Sociological Theory”, Sociology, Vol. 27, No. 4, November 1993. 43. “In Defence of ‘Grand’ Historical Sociology”, British Journal of Sociology, Vol. 45, No. 1, March 1994. 44. “The Left after Communism”, Polity Review, Vol. 4, No. 3, February 1995. 45. “After Postmodernism: A Reply to Gregor McLennan”, Sociology, Vol. 30, No. 1, February 1996. 46. “The Concept of Modernisation: Its Relevance for Greece”, Journal of Modern Greek Studies, Vol. 14, No. 2, October 1996. 47. “Social and System Integration: Lockwood, Habermas, Giddens”, Sociology, Vol. 31, No. 1, February 1997. 48. “In Defence of the Sociological Canon: A reply to David Parker”, Sociological Review, Vol. 45, No. 2, May 1997. 49. “Religion, Science and the Environment: A Synthetic View”, Sourozh, Vol. 70, November 1997. 50. “Beyond the Normative and the Utilitarian”, British Journal of Sociology, Vol. 49, No. 3, September 1998. 51. “Modernity: A Non-European Conceptualisation”, British Journal of Sociology, Vol. 50, No. 1, March 1999. 52. “Post-Parsonian Theory”, Sociological Forum, Vol. 14, No. 4, December 1999. 53. “The Subjective-Objective Divide: Against Transcendence”, Sociology, Vol. 34, No. 4, November 2000. 54. “Reflexive Modernization and the Third Way: The Impasses of Giddens’ Social-Democratic Politics”, Sociological Review, Vol. 49, No. 3, August 2001. 55. “Habitus and Reflexivity: Restructuring Bourdieu’s Theory of Practice”, Sociological Research Online, Vol. 12, No. 6, 2007. 56. “Social Causation: Between Social Constructionism and Critical Realism”, Science and Society: Journal of Political and Moral Theory, Vol. 17-18, 2007. 57. “The Case of Spirituality: Against Religious Fundamentalism and Militant Atheism”, Bedeutung, No. 2, Oct. 2008. 58. “Self And Self-Other Reflexivity: The Apophatic Dimension”, European Journal of Social Theory, Vol. 13, No. 2, May 2010. 59. “Ethical and Spiritual Anti-Foundationalism: Buber, Levinas, Krishnamurti”, Social Theory: An International Journal of Social and Political Theory, Vol. 1, 2010. 60. “Encyclopaedia, Genealogy, Tradition: A Sociocultural Critique of Macintyre’s Three Moral Discourses”, The Sociological Review, Vol. 59, No. 1, 2011. 61. “Modernity and the Secularization Debate”, Sociology, Vol. 46, No. 2, 2012. 62. “Lacan and Meditation: From the Symbolic to the Postsymbolic?”, Psychoanalysis, Culture & Society, Vol. 19, No. 2, 2014. 1. “The State in Late Development: Historical and Comparative Perspectives”, Greek Review of Political Science, Vol. 1, January 1993. 2. “On the Nature of Sociological Theory”, Review of Administrative Science, Vol. I, No. 3, December 1996. 3. “On the Relationship between History and Sociology”, Istor, April 1999. 4. “Notes on Modernisation, Globalisation and the Demise of Communism”, Greek Review of Political Science, Vol. 19, May 2002. 5. “Individuation and Modernity in the Recent Work of S. Ramfos”, Diavazo, Vol. 439, April 2003. 6. “Civil Society and Citizen Equality in Postwar Greece”, Greek Review of Political Science, Vol. 22, December 2003 (with G. Pagoulatos). 7. “Bridges Between Modern and Postmodren Social Theory”, Greek Review of Political Science, Vol. 24, 2004. 8. “State and Civil Society: From the Old to the New Paradigm?”, Greek Review of Political Science, Vol. 30, November 2007. 9. “The Militant Atheism”, Science and Society, Vol. 21, Spring 2009. 10. “Globalisation and Democracy”, Academia, Vol. 1, No. 1, 2011. 11. “Decision Making and Subject: A Fourfold Typology”, Sociological Review, Vol. 1, 2014. 1. “Greece” in M.S. Archer and S. Giner (eds), Contemporary Europe: Class, Status, Power. Weidenfeld & Nickolson, 1971 (with M. Attalides). 2. “Bureaucracy” chapter in Encyclopaedia Britannica, 1974. 3. “The Relevance of the Concept of Class to the Study of Modern Greece” in M. Dimen and E. Friedl (eds), Regional Variation in Modern Greece and Cyprus: Towards a Perspective in the Ethnology of Greece. New York: Academy of Sciences, 1976. 4. “Capitalism and the Development of the Greek State” in M. Castells and R. Scase (eds), The State in Western Europe. London: Croom Helm, 1980. 5. “State and Politics in the Parliamentary Semi-Periphery” in C. Thomas and P. Saravanamuttu (eds), The State and Instability in the South. Southampton Studies in International Policy. London: Palgrave Macmillan, 1989. 6. “The Modern and the Post-Modern in Social Thought”, The Charles M. Haar International Sociology Series. Princeton, N.J., Fall 1993. 7. “The State in Late Development: Historical and Comparative Perspectives” in D. Booth (ed. ), Rethinking Social Development: Theory, Research and Practice. Harlow: Longman, 1994. 8. “Greece in the Twenty-First Century: Institutions and Political Culture” in D. Constas and T.G. Stavrou (eds), Greece Prepares for the 21st Century. Baltimore: Johns Hopkins University Press, 1995. 9. “Modernity, Late Development and Civil Society” in J. Hall (ed. ), Civil Society: Theory, History, Comparison. Cambridge: Polity Press, 1995. 10. “Strategies of Integration and Socio-Cultural Differentiation”, CID Studies, No. 11, Copenhagen, Centre for Social Integration and Differentiation, 1995. 11. “Global Inequalities, Late Development and Democracy” in J.F. Tezanos (ed. ), La Democracia Post-Liberal. Madrid: Editorial Sistema, 1996. 12. “Rethinking the Left: Social Democracy, Development and the State”, LSE Series, Department of Sociology, 1997. 13. “Ernest Gellner’s Theory of Nationalism: some definitional and methodological issues” in J. Hall (ed. ), The State of the Nation: Ernest Gellner and the Theory of Nationalism. New York: Cambridge University Press, 1998. 14. “Multi-Cultural Europe: Conceptualising Complexity on the Socio-Cultural and educational Levels” in A. Kazamias and M. Spillane (eds), Education and the Structuring of European Space. Athens: Serios Editions, 1998. 15. “Modernity, Late Development and Civil Society” in L. Rudebeck and O. Törnquist with V. Rojas (eds), Democratization in the Third World: Concrete Cases in Comparative and Theoretical Perspective. London: Macmillan, 1998. 16. “Religion, Science and the Environment: A Synthetic View” in S. Hobson and L. Mee (eds), The Black Sea Crisis. World Scientific Publishing, 1998. 17. “Exploring Post-Traditional Orders: Individual Reflexivity, ‘Pure Relations’ and Duality of Structure” in M. O’Brien, S. Penna and C. Hay (eds), Theorising Modernity: Reflexivity, Environment, and Identity in Giddens’ Social Theory. London: Longman, 1999. 18. “Differentiation and Marginalization in Late Modernity” in I. Goug and G. Olofson (eds), Capitalism and Social Cohesion: Essays on Exclusion and Integration. London: Macmillan, 1999. 19. “Reification: A System-Social Integration Imbalance” in J. Bouzakis (ed. ), Historical-Comparative Perspectives: Festschrift in Honour of Andreas Kazamias. Athens: Gutenberg, 2000. 20. “Communitarianism: The Issue of Relativism” in E.W. Lehman (ed. ), Autonomy and Order: A Communitarian Anthology. Oxford: Rowman & Littlefield, 2000. 21. “Modes of National Identity in the Context of Globalisation” in L. Tsoukalis (ed. ), Globalisation and Regionalism: A Double Challenge for Greece. Athens: Hellenic Foundation for European and Foreign Policy, 2001. 22. “Globalisation, Poverty and Environmental Degradation” in D.V. Razis (ed. ), The Human Predicament II: Ecological Dynamics and Human Nature. Athens: S&P Advertising, 2003. 23. “Civil Society and Citizenship in Post-War Greece” in F. Birtek and Th. Dragonas, (eds), Citizenship and the Nation-State in Greece and Turkey. London: Routledge, 2005 (with G. Pagoulatos). 24. “Nationalism: Restructuring Gellner’s Theory” in S. Malesevic and M. Haugaard (eds), Ernest Gellner and the Contemporary Social Thought. Cambridge: Cambridge University Press, 2007. 25. “Cognitive Relativism: Between Positivistic and Relativistic Thinking in the Social Sciences” in J. Powel and T. Owen (eds), Reconstructing Postmodernism: Critical Debates. New York: Nova Science Publishers, 2007. 26. “David Lockwood” in R. Stones (ed. ), Key Sociological Thinkers. London: Palgrave Macmillan, 2008. 27. “On the December Events” in S. Economides and V. Monastiriotis (eds), The Return of Street Politics? Essays on the December Riots in Greece. London: The Hellenic Observatory, LSE, 2009. 28. “Civil Society and Citizenship in Early and Late Modernity” in P. Baert, S. Koniordos, G. Procacci and C. Ruzza (eds), Conflict, Citizenship and Civil Society. London: Routledge, 2010. 29. “Modernity: Religious Trends” in M.A. Glendon and H.F. Zacher (eds), The Proceedings of the 17th Plenary Session on Universal Rights in a World of Diversity: The Case of Religious Freedom. Vatican City: The Pontifical Academy of Social Sciences Acta 17, 2012. 30. “Modernity Crises and Critiques” in E. Andriakaina and R. Vasilaki (eds), Conversations: The Promise of Humanities and Social Sciences. Athens: Pedio, 2017. 1. Introduction in K.D. Karavidas, Agriculture: Comparative Study. Athens: Papazisis, 1977. 2. “Class Structure and Clientistic Political System: The Case of Greece” in G. Kontogiorgis (ed. ), Social and Political Forces in Greece. Athens: Exantas, 1977. 3. “Habitus: Bourdieu’s Contribution to the Sociology of Action” in I. Lampiri-Dimaki and N. Panagiotopoulos (eds), Pierre Bourdieu: Sociology of Education. Athens: Kardamitsa-Delfini, 1995. 4. “Parliamentarism and Party Organisation in Greece” in G. Kassimatis (ed. ), 150 years of Greek Parliamentary Life 1844-1994. Athens: Sakoulas, 1995. 5. “The Centre-Left Discourse in the European Union” in S. Dallis (ed. ), From Maastricht to Amsterdam: Evaluation of the Intergovernmental Conference and Analysis of the New EU Treaty. Athens: Sideris, 1997. 6. Introduction in Th. Couloumbis and S. Dallis (eds), Greek Foreign Policy in the Threshold of the 21st Century. Athens: Papazisis, 1997. 7. “Greek Foreign Policy: Need for a Radical Reassessment” in Th. Couloumbis and S. Dallis (eds), Greek Foreign Policy in the Threshold of the 21st Century. Athens: Papazisis, 1997. 8. “Modernity, Late Development and Civil Society”, Civil Society, Vol. 1, 1998. 9. “Communitarianism: The Issue of Relativism”, Civil Society, Vol. 2, 1999, pp. 90-6. 10. “Parties’ Crisis and Civil Society as Outlet”, Civil Society, Vol. 5, 2000. 11. “The Citizen in the 21st Century” in J. Nestoros, B. Pesmatzoglou and M. Samatas (eds), Contemporary Currents in the Social Sciences: Sociology, Economy, Psychology. Athens: Tipothito, 2000. 12. “Enlightenment and Neo-Orthodoxy”, Civil Society, Vol. 7, 2001. 13. “The idea of Civil Society” in A. Makridimitris, State and Civil Society. Athens: Metamesonikties Publications, 2004. 14. “The Civil Society Third Pole of Globalization”, Civil Society, Vol. 9, 2003. 15. “Europe Against USA” in S. Dallis (ed. ), War in Iraq and the International Community. Athens: Institute for Defense Analyses, 2003. 16. “Cosmopolitanism: Globalization of Values and their Enemies. The Challenge of Orthodoxy” in P. Kalaitzidis and N. Ntontos (eds), Islam and Fundamentalism. Orthodoxy and Globalisation. Academy for Theological Studies of Dimitriados Metropolis, Athens: Indiktos, 2004. 17. Introduction in N. Papadakis, The Palimpsest Power: State, University and Educational Policy in Greece. Athens: Gutenberg, 2004. 18. “Why Are Reforms Failing” in Th. Pelagidis (ed. ), Social Reforms in Greece: An Assessment of the Modernisation Process. Athens, Papazisis, 2005. 19. “State, Society and Market in Early and Late Modernity” in D.N. Gravaris and N. Papadakis (eds), Education and Educational Policy: Between State and Market. Athens: Savalas, 2005. 20. “The Notion of Modernisation in the Social Sciences” in L. Vassis (ed. ), Tradition and Modernity in 21st century Greece. Athens: Taxideftis, 2006. 21. “Civil Society and Citizenship in Early and Late Modernity” in S. Koniordos (ed. ), Social Thinking and Modernity. Athens: Gutenberg, 2009. 22. Introduction in M. Weber, The Protestant Ethic and the Spirit of Capitalism. Αθήνα: G. Canale & S.p.A., 2010. 23. “Globalization: Myths and Realities” in M. Kousi, M. Samatas and S. Koniordos (eds), Power and Society: Gifts to Konstantinos Tsoukalas. Athens: Kastaniotis, 2010. 24. “Civil Society and Its Critics”, The Book’s Journal, Vol. 41, 2014. 25. “Developments that Led to the Crisis” in S. Zamparloukou and M. Kousi (eds), Social Facets of the Crisis in Greece. Athens: Pedio, 2014. 26. “Nationalism: Reconstruction of Gellner’s theory” in I. Metaxas (ed. ), Political Science: Interdisciplinary and Synchronous Investigation of Political Action. Vol. VIII, Political Theory. Athens: Sideris, 2015.